I’ve been practicing my dovetails, both router and hand-cut with a series of boxes. This is the first I’ve finished, and is probably my favorite. 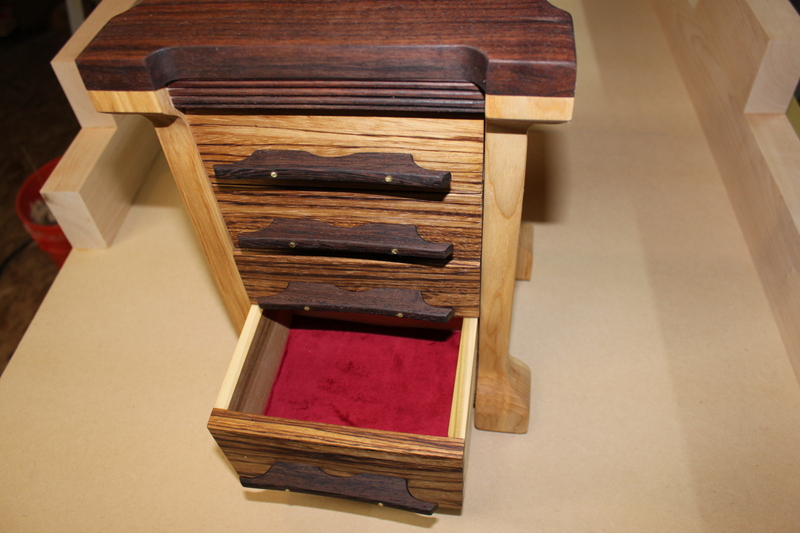 Though not quite a jewelry box, this could be used as such, but is probably best utilized for small treasures. 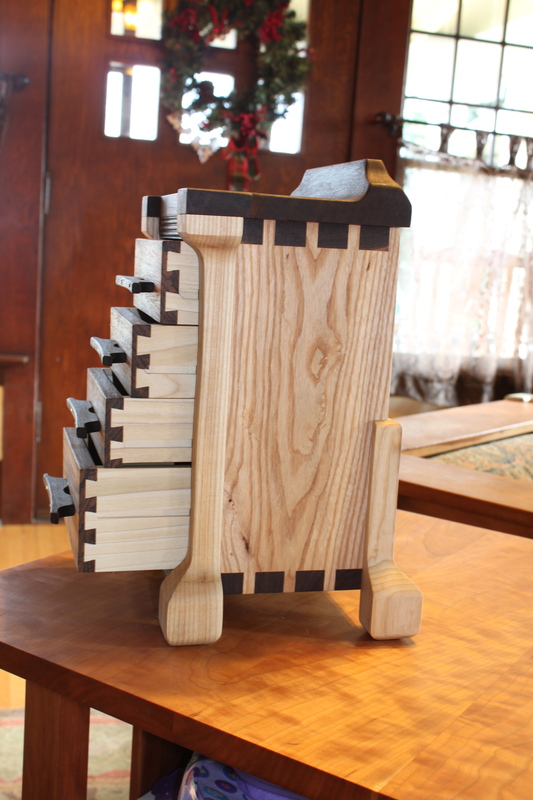 All the half-blind drawer dovetails were executed by hand. 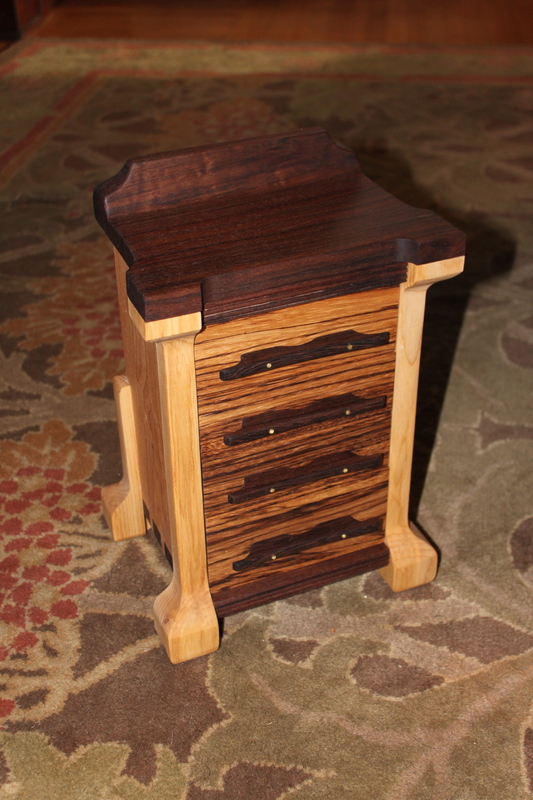 The pale wood is ash, the brown wood is western walnut, the pulls are wenge, and the drawer fronts are zebra-wood. The drawers are lined with velvet. Zebra-wood has the unusual characteristic in that it smells like wet dog when cut. In spite of this, it works and finishes beautifully! A box like this takes me about 20 hours to make, most of which is in the dovetails, but a significant portion is in the curves on the legs and top. This entry was posted in box. Bookmark the permalink.